Eleanor's Pantry - Fundraising Stars! - Trino's Benefit Show for Eleanor's Pantry! 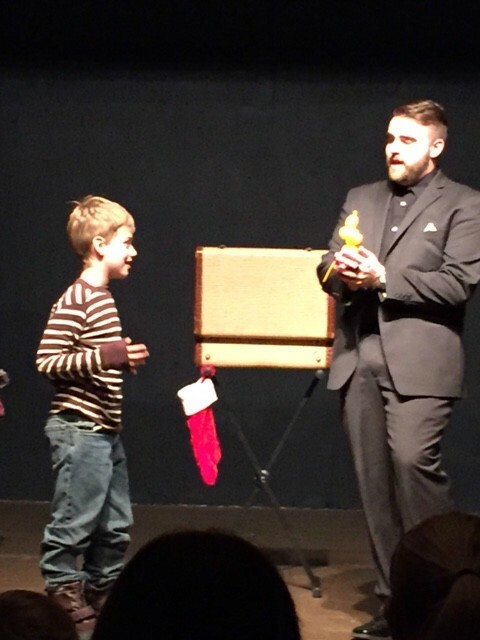 Playing with balloonsA Magic Show by Paw Paw Alumni & Central Michigan University Junior Trino Schincariol raised over $800 for Eleanor's Pantry. 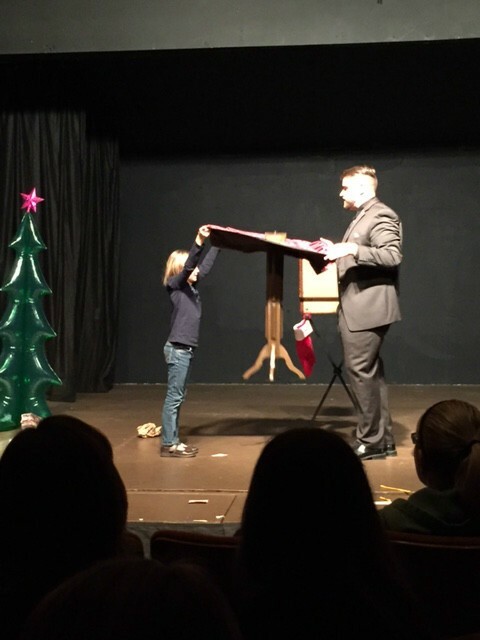 The show featured jaw -dropping magic, hilarious comedy, and lots of audience participation. It was fun and amazing for everyone! 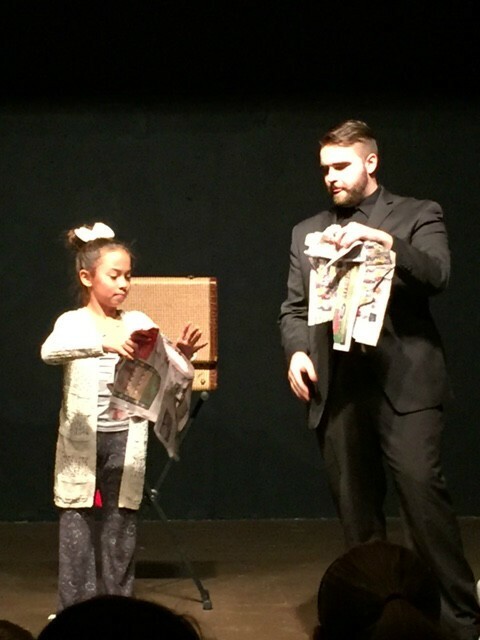 He did card tricks and mind-reader tricks that left the audience wondering, How'd he do that? Tearing up the paper and yet they all were in one piece at the end. At this busy time of year, your donations mean more than ever at the pantry. 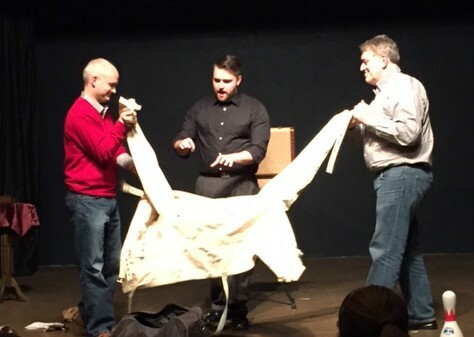 Yes he did escape from the straight jacket! To learn more about the entertainer Gene Simmons called, “Incredible”, visit www.trinomagic.com or on Facebook at www.facebook.com/trinomagic.